Born at Inverness, Scotland on 13 December 1887, one of ten children born to grain merchant John R. MacLean (1853-1913) and Alexina Isabel Campbell (1863-? ), brother of John MacLean, Donald R. MacLean and Isabel MacLean Hunt, in 1890 he came to Winnipeg with his family, moving to St. Boniface in 1913 where he lived until 1954. During the First World War, he served in the Canadian Expeditionary Force and returned from overseas in 1920 as a Lieutenant-Colonel. With an admittedly poor grasp of French, he was first elected to public office as a St. Boniface alderman in 1914, later serving as Mayor of St. Boniface, from 1936 to 1952, and Chairman of the Winnipeg-St. Boniface Harbor Commission from 1931 to 1953. He was a candidate for the St. Boniface constituency in the 1925, 1940, 1945, and 1953 federal general elections and the 1936 provincial general election but was defeated each time. 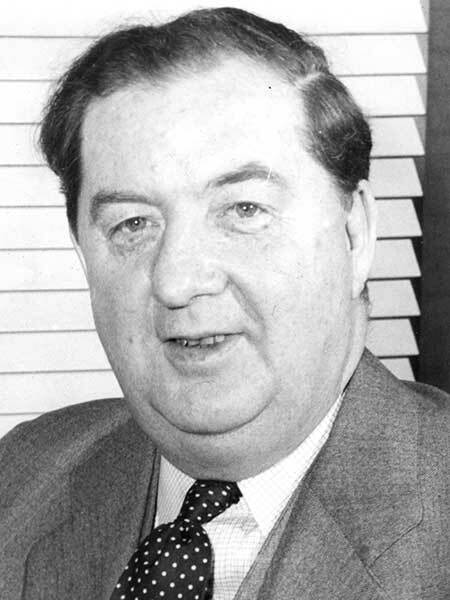 He was elected President of the Canadian Federation of Mayors and Municipalities in 1949 and headed the Canadian delegation to the 1950 Inter-American Congress of Municipalities. On 8 April 1913, he married Jean Hyslop Cowie (c1892-1977) at Winnipeg and they had five children: Robert C. MacLean, George C. MacLean, Isabelle MacLean (wife of Lew Miles), Georgette MacLean (wife of Paul Fee), and Alixe MacLean (wife of C. W. Buckingham). He was a member of the Masons (Norwood Lodge) and President of the Norwood Branch of the Canadian Legion. In 1954, he retired to Vancouver, British Columbia where he died on 27 November 1957 and was buried in the Brookside Cemetery. He is commemorated by the George C. MacLean Pumping Station at 875 Lagimodiere Boulevard, Winnipeg. “Snowdon heads Harbor Commission,” Winnipeg Free Press, 10 October 1954. “Colorful ex-mayor, George C. MacLean dies,” Winnipeg Free Press, 28 November 1957, page 19. Obituary [Jean Hyslop MacLean], Winnipeg Free Press, 28 October 1977, page 35.